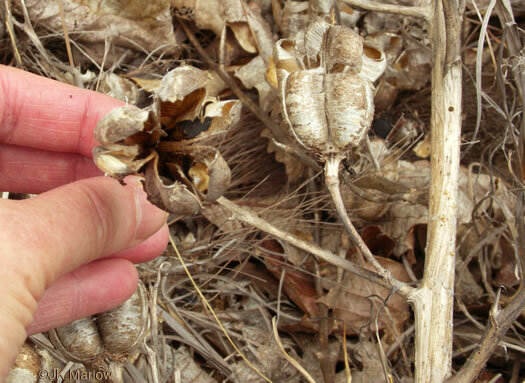 Your search found 172 image(s) illustrating the term "capsule." For a written explanation, click on "capsule" in the Glossary. 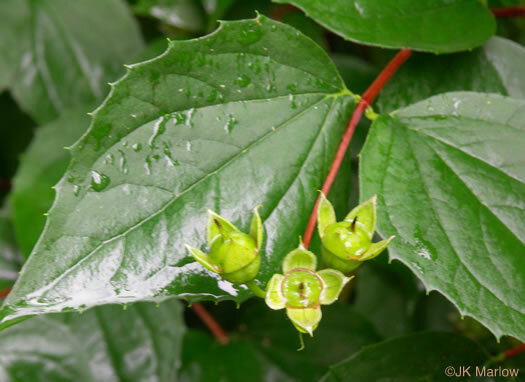 Fruits 3-celled capsules: Two cells have 2 seeds each, the 3rd cell aborts, per Wildflowers of Tennessee, the Ohio Valley, and the Southern Appalachians. 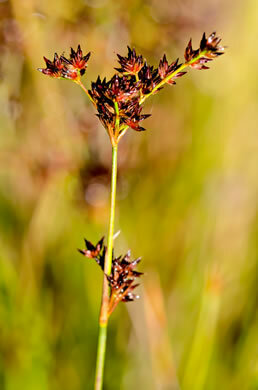 Capsule 3-angled, shiny dark red... [in terminal, open, branched clusters], per Wildflowers of the Sandhills Region. 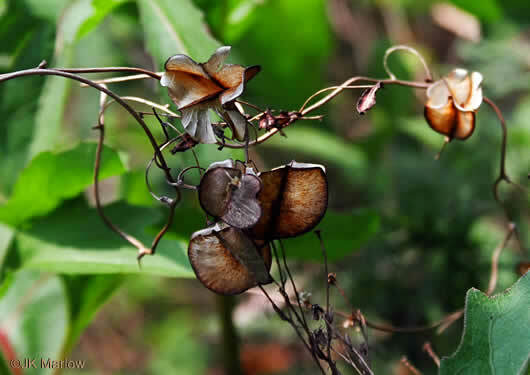 Fruit an erect capsule with flattened black seeds stacked like coins, per Wildflowers & Plant Communities of the Southern Appalachian Mountains and Piedmont. 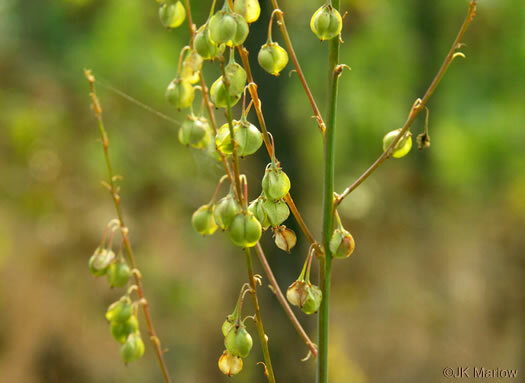 Fruits a 3-lobed bladderlike capsule with thin "wings" on each angle, per Guide to the Wildflowers of SC. 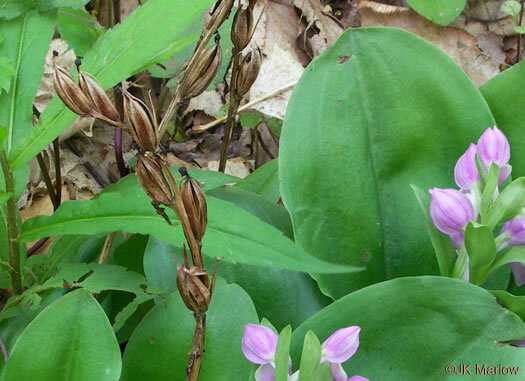 Capsules ± equaling or slightly longer than tepals & ± enclosed by them, hard, per Flora of North America. 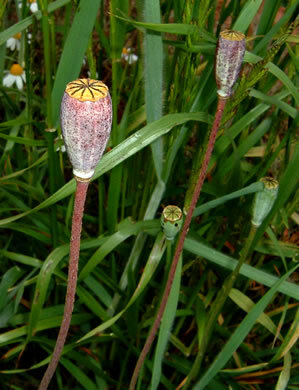 Capsules clearly longer than tepals and not enclosed by them, chartaceous, per Flora of North America. 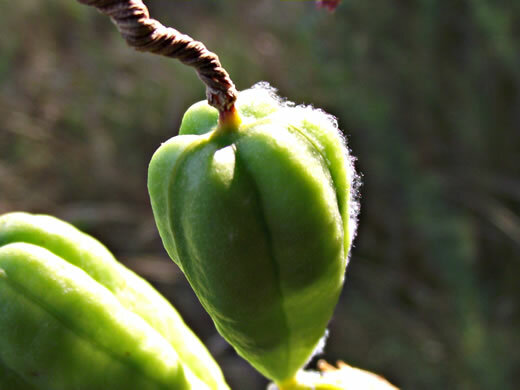 Fruit a 3-chambered capsule, tapered to a long beak, per Wildflowers of Tennessee, the Ohio Valley, and the Southern Appalachians. 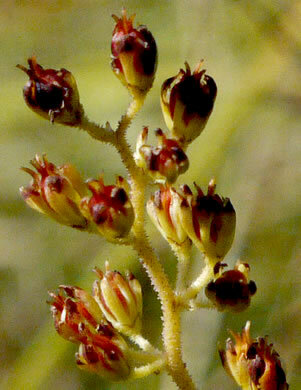 Capsules deeply 3-lobed, thin-walled, dehiscence septicidal then loculicidal, per Flora of North America. 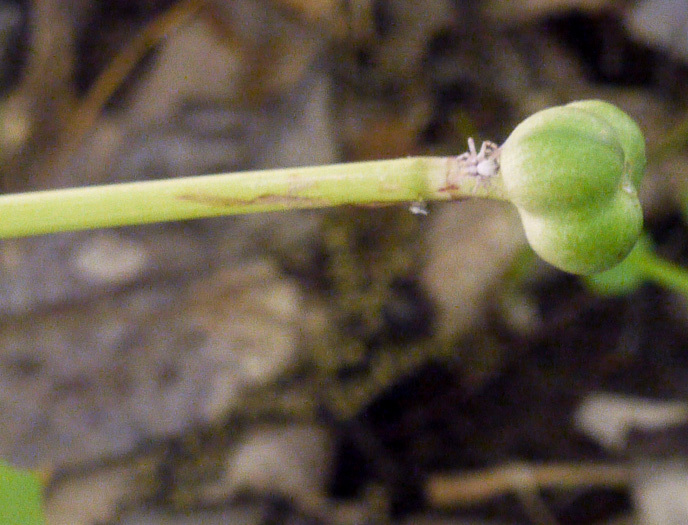 Capsule ellipsoid to obovoid, 1.3-1.8cm long, perianth persistent, per Vascular Flora of the Carolinas. 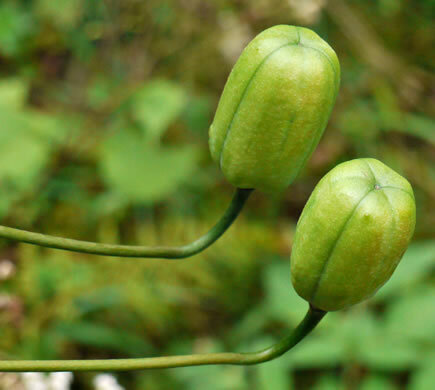 Fruit a 3-chambered green capsule, per Wildflowers & Plant Communities of the Southern Appalachian Mountains and Piedmont. 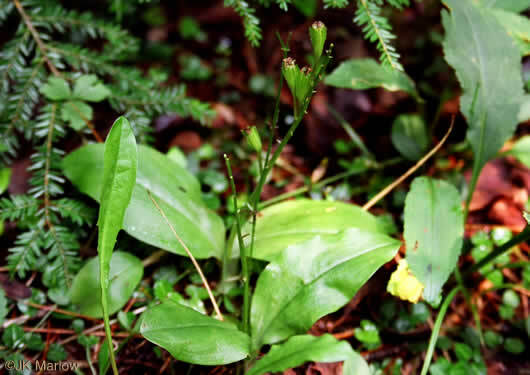 Best distinguished by the indented (not rounded) summit of the capsule, per Wildflowers of the Southern Mountains. 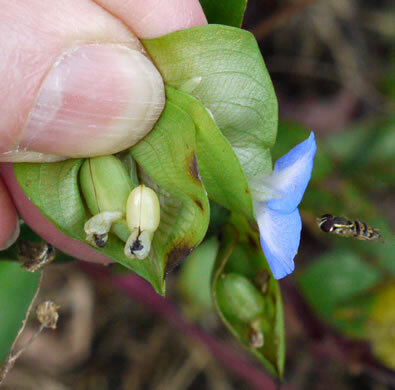 Apex of mature capsule usually pointed downward, per Weakley's Flora. 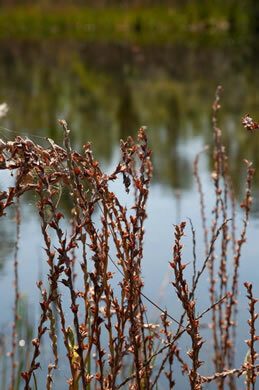 Capsule broader than long, perianth persistent but withering, per Vascular Flora of the Carolinas. 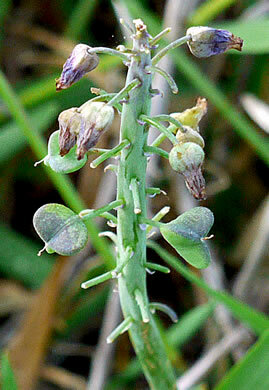 Capsules deciduous, pale green to light brown, subglobose, 6-10mm, per Flora of North America. 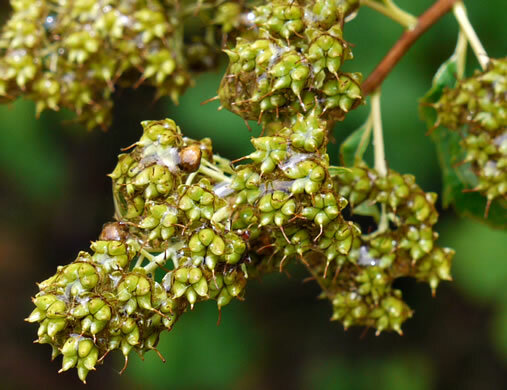 Fruits are distinctly angled 3-chambered capsules with 2 seeds per chamber, per Wildflowers of Tennessee, the Ohio Valley, and the Southern Appalachians. 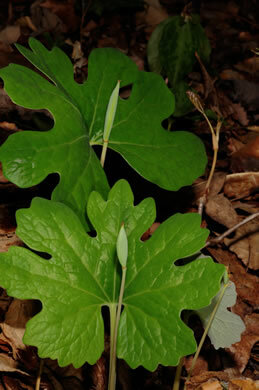 Fruits angular capsules to 2" long, per Wildflowers of Tennessee, the Ohio Valley, and the Southern Appalachians. 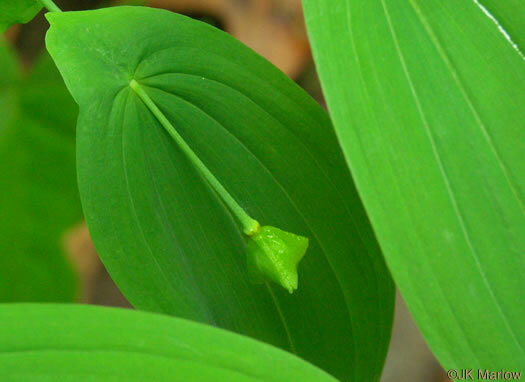 The green 3-cornered capsule is about 1/3" long, per All About South Carolina Wildflowers. 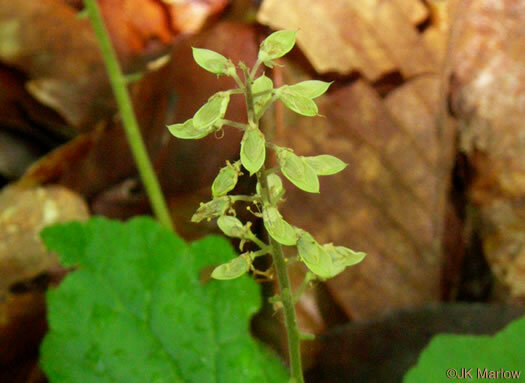 Clusters of dried, papery 3-winged capsules are conspicuous in autumn, per Wildflowers of Tennessee, the Ohio Valley, and the Southern Appalachians. 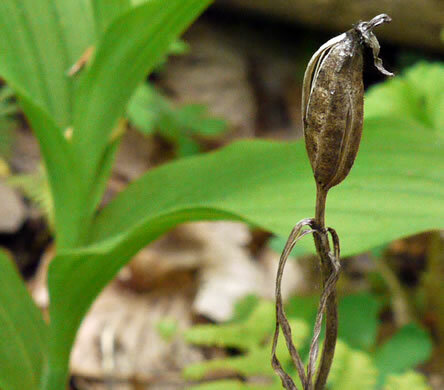 The thin-walled capsule splits at maturity, releasing shiny black seeds, per Wildflowers & Plant Communities of the Southern Appalachian Mountains and Piedmont. 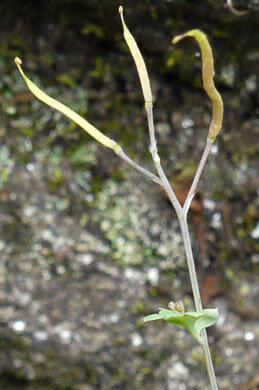 Capsule globose to oblong, 4-6mm long, per Vascular Flora of the Carolinas. 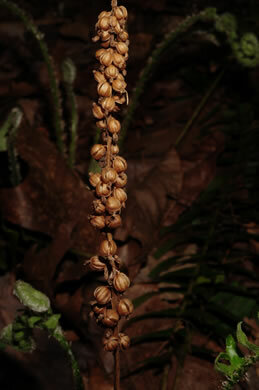 Capsules tan with purplish sutures and sometimes apex, ~ globose, 2.1-4.2mm, per Flora of North America. 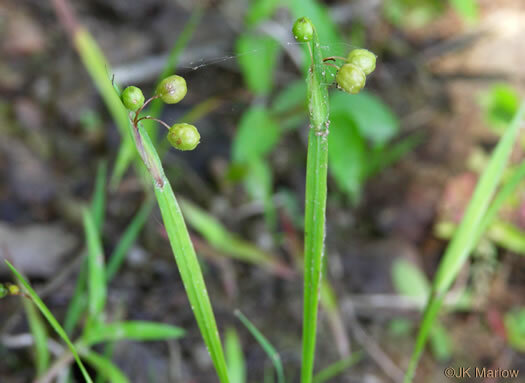 Fruits are ellipsoid capsules 1.0-1.75" long, per Wildflowers of Tennessee, the Ohio Valley, and the Southern Appalachians. 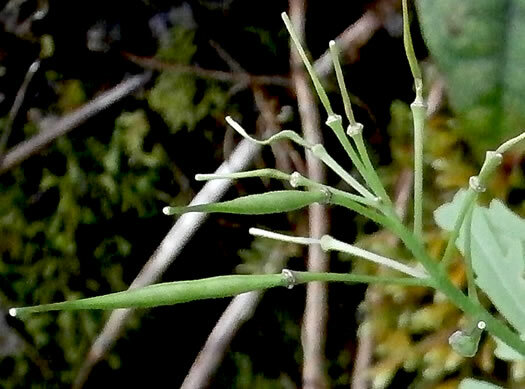 Fruit an ellipsoid capsule 1.0-1.5" long, per Wildflowers of Tennessee, the Ohio Valley, and the Southern Appalachians. 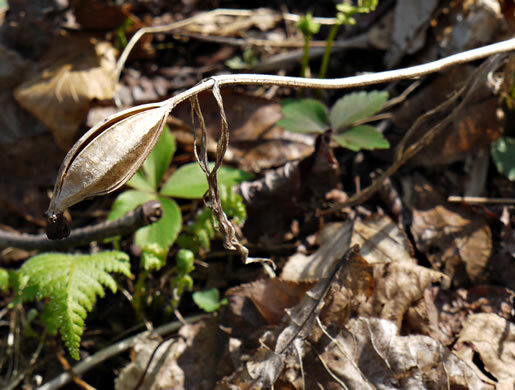 Fruits are ellipsoid capsules 0.7-1.0" long, per Wildflowers of Tennessee, the Ohio Valley, and the Southern Appalachians. 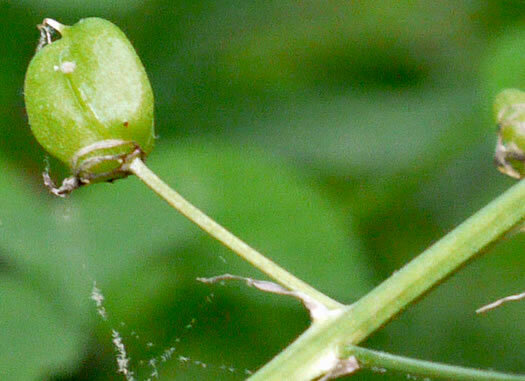 The capsule is erect, ellipsoid-cylindrical, 1.7-3cm long, per Vascular Flora of the Carolinas. 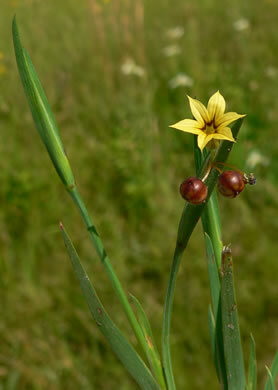 Fruit are small, erect, ovoid capsules, per Wildflowers of Tennessee, the Ohio Valley, and the Southern Appalachians. 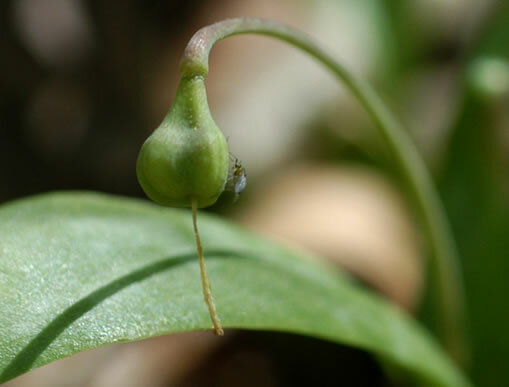 Fruits are ellipsoid capsules to 0.6" long, per Wildflowers of Tennessee, the Ohio Valley, and the Southern Appalachians. 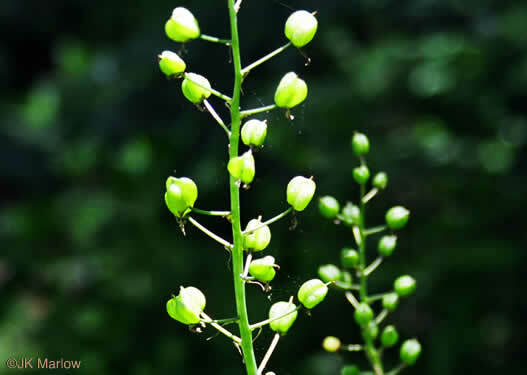 Fruits are hanging ellipsoid capsules, about 0.5" long, per Wildflowers of Tennessee, the Ohio Valley, and the Southern Appalachians. 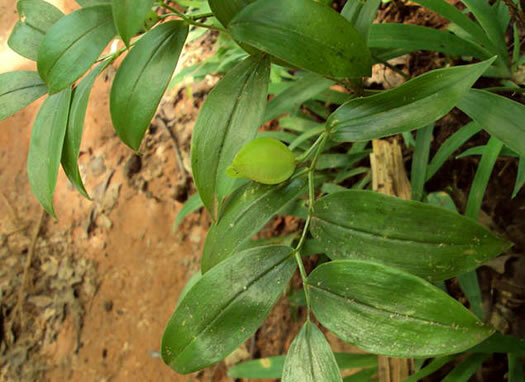 Capsule ellipsoid, pendant, 1.5-2.3cm long, per Vascular Flora of the Carolinas. 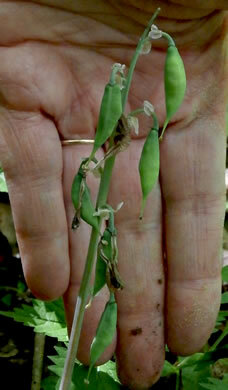 Fruit a 2-4" ribbed capsule with many flat triangular seeds, per Woody Plants of the Blue Ridge. 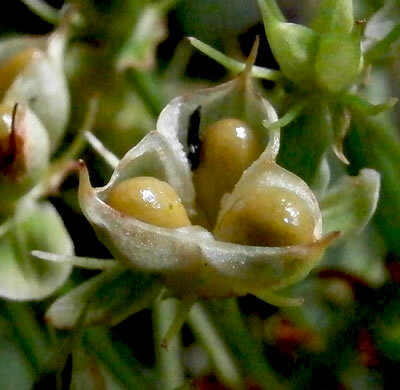 Capsules ovoid or ellipsoid, 3-5mm long, ca. 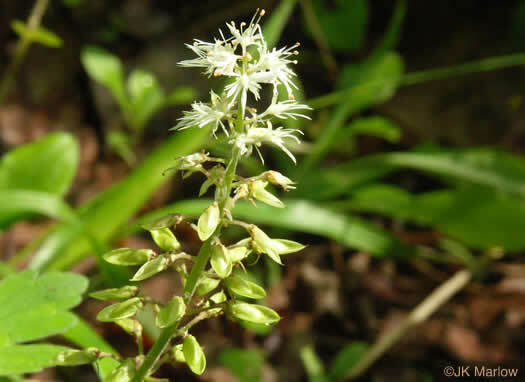 3mm in diameter, per Vascular Flora of the Carolinas. 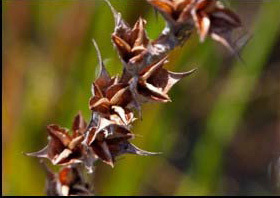 Capsules' dehiscence circumscissile [so that the top separates like a lid], per Flora of North America. 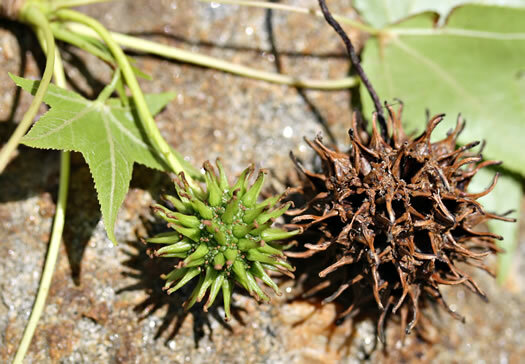 Fruit is an ovoid capsule containing many small seeds, per Wildflowers & Plant Communities of the Southern Appalachian Mountains and Piedmont. 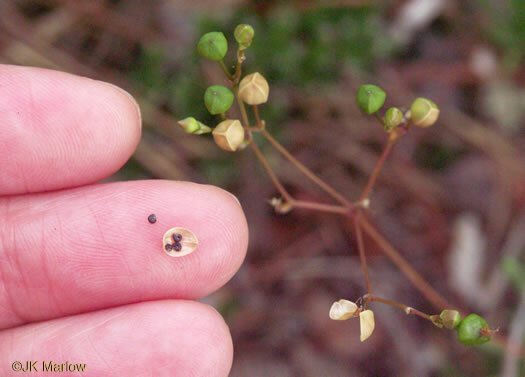 Capsules triangular-ovoid, 4-6mm long, per Vascular Flora of the Carolinas. 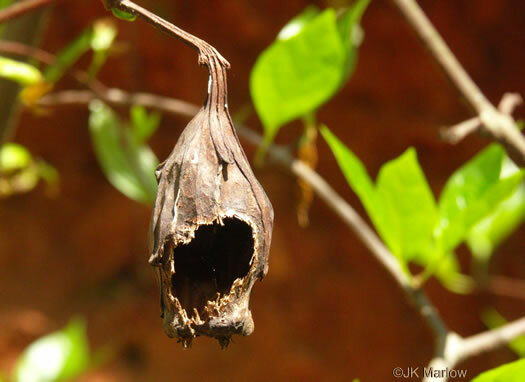 Fruit an ovoid leathery pendant capsule (woodland rodents mine its seeds), per Native Shrubs and Woody Vines of the Southeast. 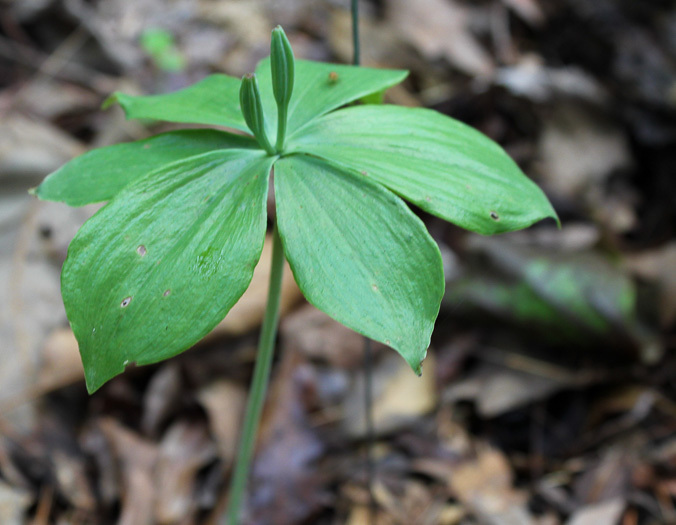 Capsule fusiform [broadest near the middle and tapering toward both ends], per Vascular Flora of the Carolinas. 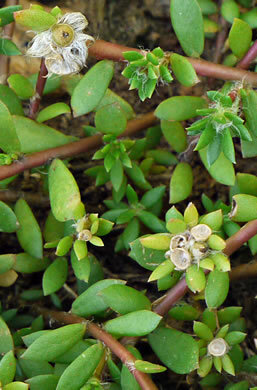 Capsule sessile or substipitate, narrowly obovoid, usually distinctly ribbed, per Flora of North America. 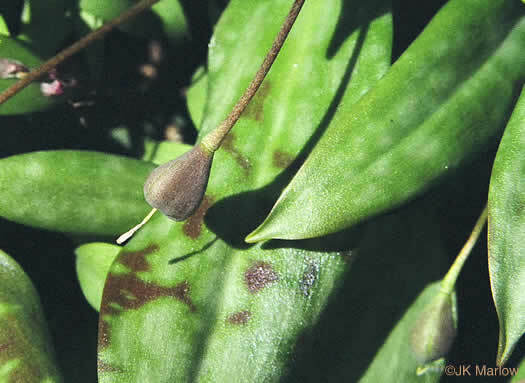 Capsules ovoid, attenuate at both ends, per Flora of North America. 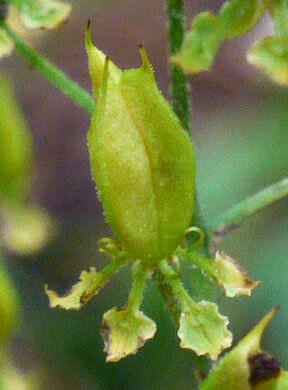 Sepals widely ovate-lanceolate, 2-4mm long. 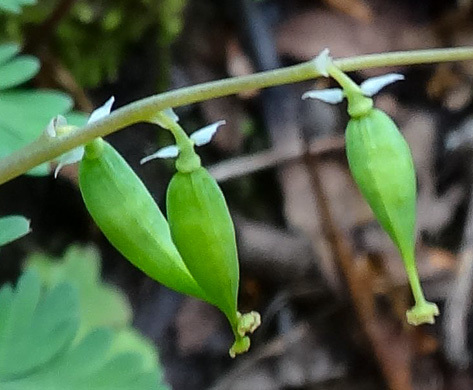 Capsule ellipsoid, 8-14mm long, per Vascular Flora of the Carolinas. 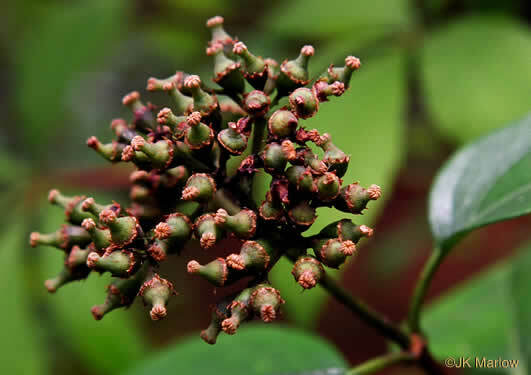 Capsules erect, 25-35mm long, per Weakley's Flora. 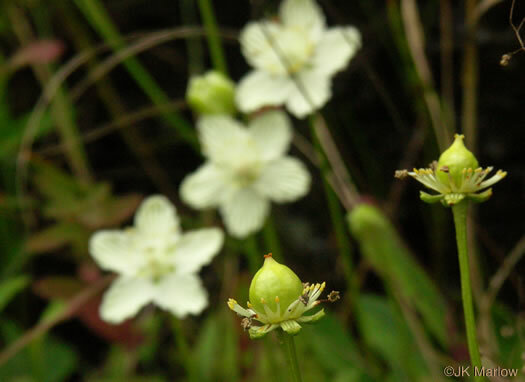 Flowers followed by narrow round capsules (siliques), each 1-4cm long, per Wild Flowers of NC, 2nd edition. 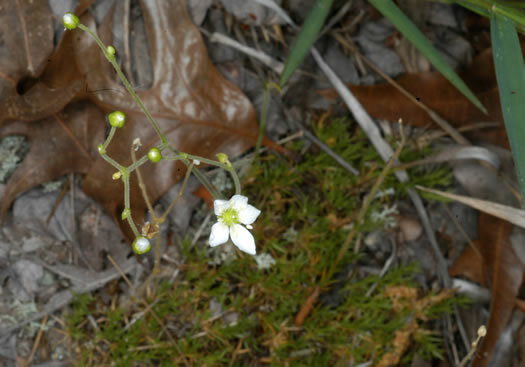 Capsules turbinate or obovoid, per Vascular Flora of the Carolinas. 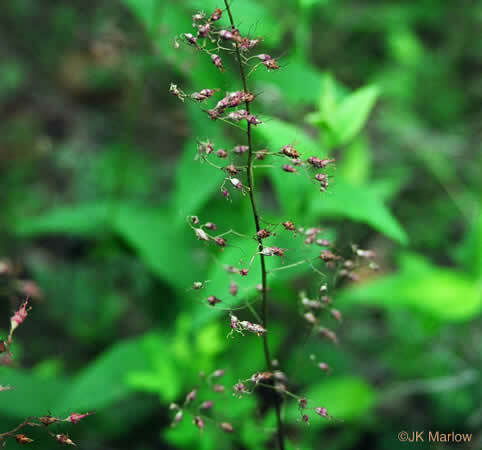 Capsules subglobose, 6-8mm long and broad, per Vascular Flora of the Carolinas. 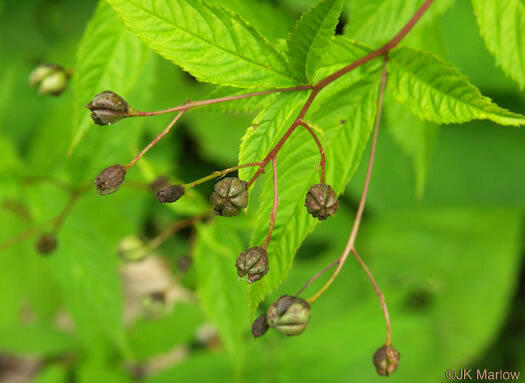 Fruit is a 4-parted capsule with numerous seeds, per Wildflowers & Plant Communities of the Southern Appalachian Mountains and Piedmont. 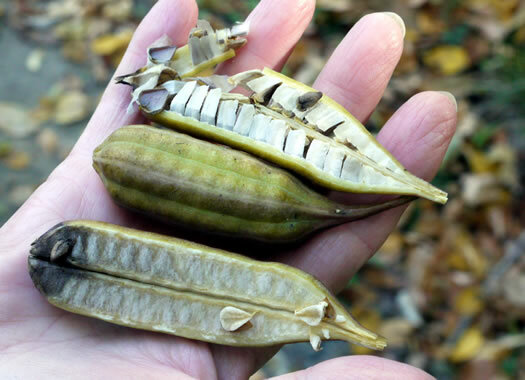 Fruit a capsule with 4 valves. 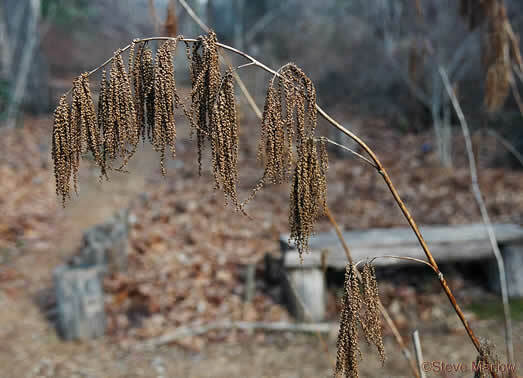 Empty capsules may persist until Spring, per Wildflowers of Tennessee, the Ohio Valley, and the Southern Appalachians. 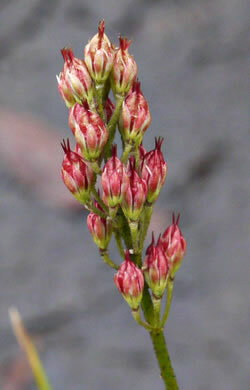 Capsules 3-5.5mm long, per Vascular Flora of the Carolinas. 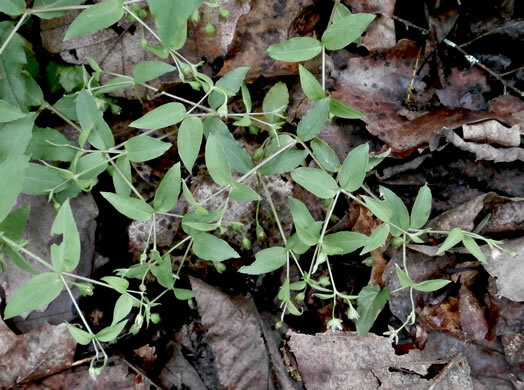 Fruits are 2-valved capsules with persistent styles, per Wildflowers of Tennessee, the Ohio Valley, and the Southern Appalachians. 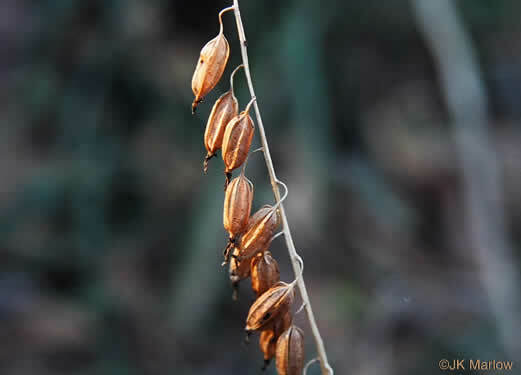 Fruit a two-parted capsule, per Guide to the Wildflowers of SC. 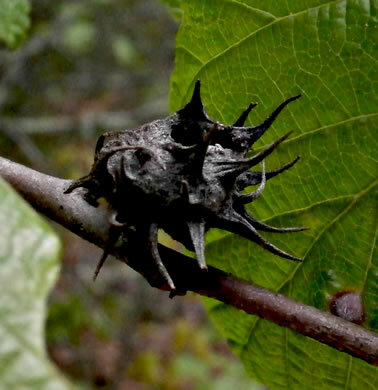 Flower heads develop into spherical compound fruit with multiple capsules, per Woody Plants of the Southeastern US: A Winter Guide. 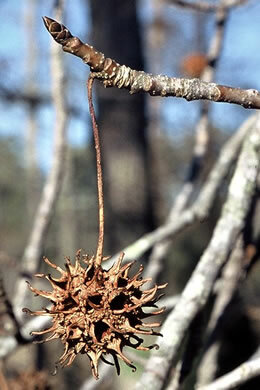 Fruit a spiny ball of many capsules, persistent, woody, per Native Trees of the Southeast, An Identification Guide. 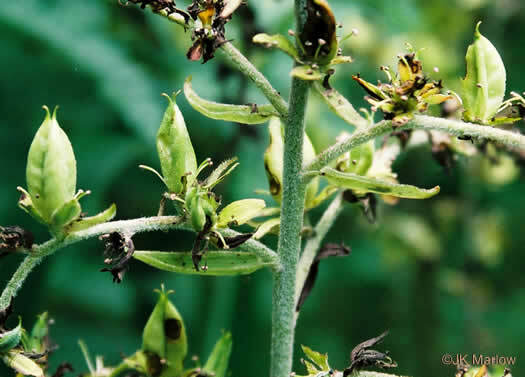 Often mistaken for fruit capsules are these aphid galls with long spines, per Field Biology in Southeastern Ohio blog spot. 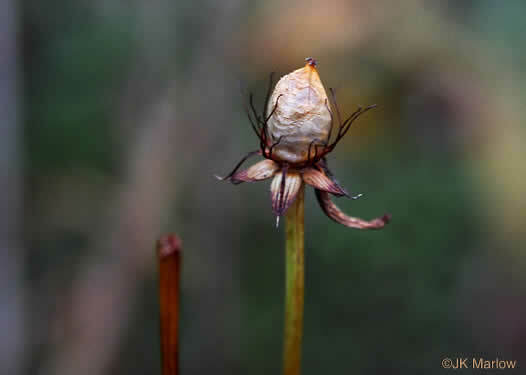 Capsules 4.5-5mm long, pubescent to glabrate, per Vascular Flora of the Carolinas. 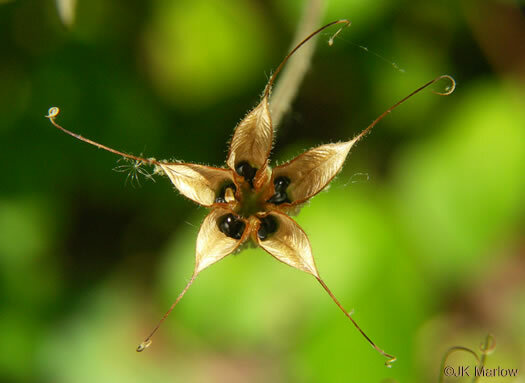 Fruits are dry capsules consisting of 3 seed chambers per flower, per Wildflowers of Tennessee, the Ohio Valley, and the Southern Appalachians. 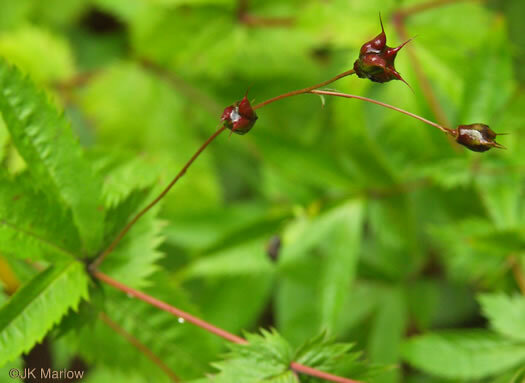 Capsule smooth, glossy, 2-3mm long, per Vascular Flora of the Carolinas. Your search found 172 image(s) illustrating the term "capsule." You are on page 1.